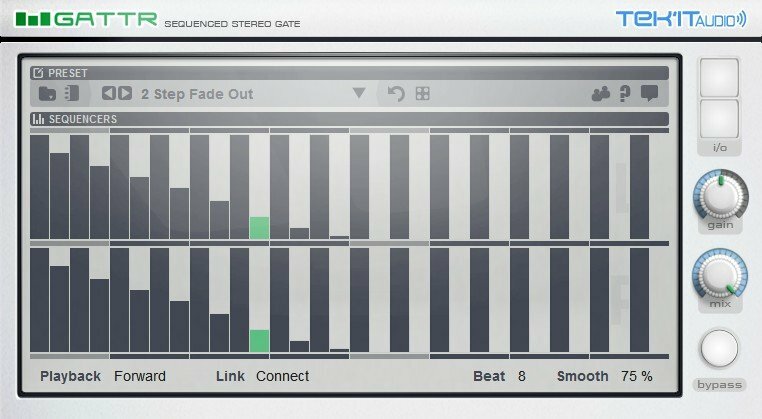 GattR is a sequenced stereo gate effect that help you create cutting edge stereo gate, chop and fade effects. 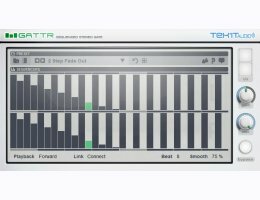 Synchronized on the beat of your DAW with the 32 steps modulation sequencers GattR give you fine control over your effect. Give breath to your synth lead and more groove to your loops. 32 steps stereo modulation sequencers, synced to your host. Sequencers can be linked to work as pair. Sequencers can play forward or reverse. Wet to dry signal mix. Easy MIDI learn on all parameters. Use 7-bit MIDI Continuous Controller or High resolution 14-bit MIDI NRPN and RPN. Works in mono or stereo. Works at any sample rate. Undo your changes to initial preset value. Plugivery is an official distributor for all Tek'it Audio's products.